Nashville Guitarist Dave Rawlings Talks About His New Album, His Role as a Producer and How He Found His Style | Music | Style Weekly - Richmond, VA local news, arts, and events. Alysse Gafkjen Dave Rawlings, known for his work with partner Gillian Welch, received a Grammy nod last week for his new Southern gothic song, “Cumberland Gap.” Rawlings will be performing in Richmond with his band on Friday, Dec. 8, at the National. If you've ever heard folk duo David Rawlings and Gillian Welch perform, you know the two harmonize like nobody's business. The Blue Sky Boys, the Monroe Brothers, June and Johnny Cash: Rawlings and Welch deserve this rarified company. Not to mention, when it's all sung and done, they might prove to be the most talented songwriters of the bunch. Since the mid-'90s, the pair has toured mostly under Welch's name, releasing masterpieces such as 2001's "Time (The Revelator)" while earning Grammy nominations, joining the Coen Brothers for the platinum-selling "O Brother, Where Art Thou" soundtrack, and picking up a lifetime achievement award for songwriting from the Americana Music Awards. Rawlings started a project for his own material around 2009, which includes Welch, known as the Dave Rawlings Machine. The two alternate touring behind each other's releases, making for one of the most fruitful and egalitarian working relationships in roots music today. Rawlings is a mesmerizing guitarist, known for flat picking a 1935 Epiphone Olympic arch top, who can seem like he's slow dancing with a ghost, eloquently exploring minor chords while his somewhat nasal, twanging voice loosely recalls Bob Dylan, one of his heroes. Speaking by phone from home in Nashville, he explains that he didn't start playing guitar until he was 16, though his hand-eye coordination was already developed from playing video games. "I was never good at copying other people," he says. "I know a lot of guitarists who are technically better. But trying to find little intervals that are new is the challenge and fun of it to me." He adds that he thinks it was smart, in terms of developing a style, that he and Welch began playing by themselves. "We always liked the Blue Sky Boys, the Delmore Brothers, the Monroe Brothers. We wanted to try to be as complete as we heard that music being, but with two guitars and two voices," he says. "To set the bar so those two instruments were making a whole world of sound. And that helped spur creativity." Rawlings' most recent effort is this year's "Poor David's Almanack," a deceptively simple collection of original folk songs that sound as if they were passed down from generations ago. It's his most accomplished solo album yet, featuring Southern stomper "Cumberland Gap" (nominated for a Grammy for best American roots song just last week), the John Prine-like ballad, "Airplane," and the rousing bluegrass of "Come on Over My House," songs which hold up well within an already impressive catalog. Rawlings says the impetus to craft a traditional-sounding folk record had to do with his last solo release, "Nashville Obsolete," and its complicated songs. "We were touring that, having a ball playing the stuff, but all of the songs were feeling kind of weighty, except maybe 'Candy' or 'Last Pharaoh.'" he says. "I kept wanting simpler folk songs to pepper into the set for a little balance." "So, I was thinking about songs and how they work, these traditional shapes and these melodies, phrases and stories that really have held on for 150, 200 years," he continues. "I became fascinated with the strength they have and wanted to incorporate some of myself into those things and see if it worked." He wrote about seven of the tunes pretty quickly while looking through "old songbooks, folios, scraps of things" that inspired him. After test-driving them live, the group entered a studio and recorded the entire album in less than a week, he says, the quickest one they've ever done. The title is a nod to the famous 18th century writing in "Poor Richard's Almanack" by Benjamin Franklin. "Aside from being an almanac, it was a collection of folksy witticisms. There are some Bob Dylan songs like 'Odds and Ends' and 'Lost Time Is Not Found Again' — that's a Franklin quote out of his almanac." Rawlings creates similar phrases such as "Money is the Meat in the Coconut" for a song chorus. "These songs look at the world with a real worldview if you take them altogether," he adds. "So, I thought calling it an almanac had a ring of truth to it." He briefly considered making the album electric, with Welch on bass and Taylor Goldsmith and Griff Goldsmith from Dawes on organ and drums, respectively, but that didn't fall into place – though he's not against going electric in the future. Also known as a stellar producer, Rawlings has worked on records by Ryan Adams, Old Crow Medicine Show and Robyn Hitchcock. I ask him if it's harder producing himself, as he did for this latest release. "There's nothing harder in my mind," he says. "One of the most important things you can do is be sitting on the other side of the glass, responding to stuff, seeing what hits you on a gut level." Asked to distill his own philosophy as a producer, he says it's simple. "There isn't much to it besides trying to keep a steady hand on the keel, as far as what makes you feel something. Not be worried about how technically good something was, or well-recorded, or if you even meant to do it. Sometimes some of my favorite things on record weren't supposed to be there, like a warm up. You have to be open. When you hear something exciting, you have to catch those things. That's all I try to do: put things together that make my stomach feel a certain way, that make me nervous." Too many artists get hung up overthinking the process, he notes. "You always have to remember that all that matters is what the listener thinks when they hear it later," he says. "They might not know who did it, or think much about your music. But if you make really great music, the people shouldn't need to know anything except that they like it." A local programming board member once told me he wouldn't consider booking the pair for the Richmond Folk Festival because Welch was from Los Angeles and Rawlings was from the Northeast, and they wanted artists who were in the living tradition, or from the root geography of their genre. "Well, that's OK. After awhile I just always think you should be judged on what you do and the sounds you make. If you're looking for back story to color why you like something, that's not the way I think about art," Rawlings says. "Having spent my entire life so far doing this, some 25 to 30 years, at some point when does it just become what you are, you know? I read that Taj Mahal apparently had decades where people didn't accept him for what he did, because of his background. Finally people were like, 'Well, he's who's around and has been doing this forever.'" He laughs. It makes sense that "Poor David's Almanack" contains a liner note which explains that traditional stories and songs were used as the basis for several songs before adding, "these are our versions, feel free to create your own." 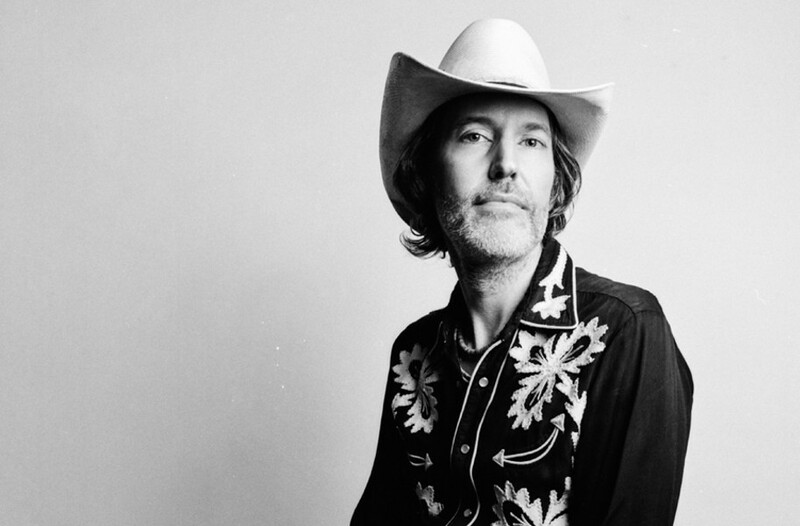 An Evening with David Rawlings takes place at the National on Friday, Dec. 8, at 8 p.m. $30-$35. thenationalva.com.